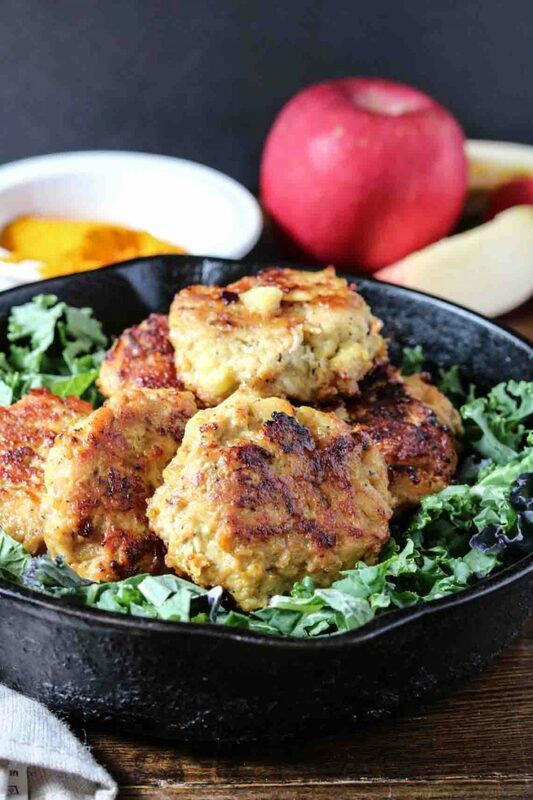 Chicken apple sausage, another combination that might seem odd but it’s the perfect combination of savory + sweet. 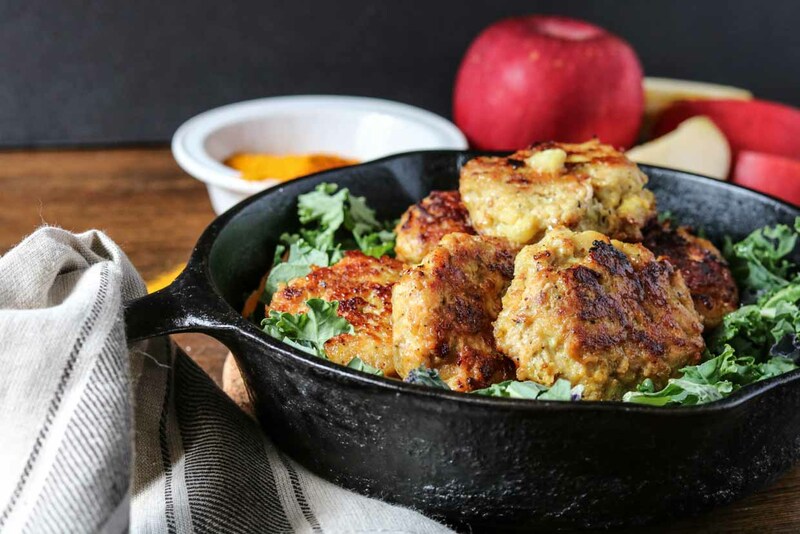 These chicken apple sausage patties have a hint of turmeric and maple syrup which completes that savory + sweet combination. You can also make these ahead of time and store for the week, giving both you and the kids an easy, grab-and-go breakfast. Add in a side of eggs and/or greens and you have a complete healthy breakfast to start your day off right. 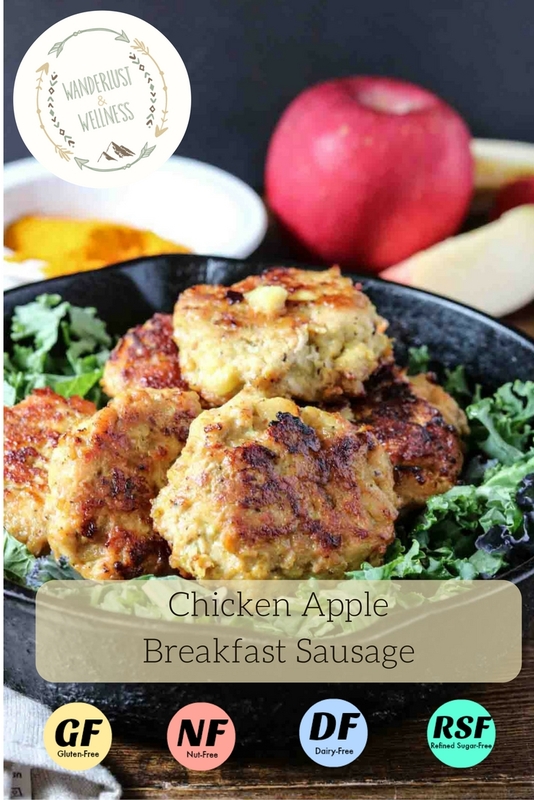 There are actually a couple of good pre-cooked organic chicken sausages available in stores, through companies like Applegate Farms, but I still find this homemade version better than their pre-cooked, frozen options. These would also pair well with gluten-free biscuits, pancakes, or waffles. And you guys know how I used to shy away from any fruit/meat combos but I’m telling you, it’s such a good combination! I also used honey crisp apples to give it a nice sweet flavor. Whip a batch up this week and let me know what you think! In a large mixing bowl, mix all ingredients except for the ghee. Heat a large skillet (I use cast iron) over medium heat and melt the ghee. Form chicken mixture into patties and add to the skillet. Cook thoroughly, turning approximately every 2-3 minutes. 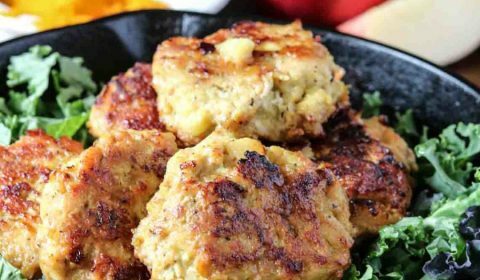 Patties should be browned on both sides and cooked through. Serve with eggs, greens, or however you’d like! Super yum!!! I want this right now! Now this is a breakfast I’d be excited to get up early for! Hearty and totally delicious. YUM!